Just a few miles after passing a towering Marlboro Man ad, a second billboard off the highway promotes cigarettes with a new American face: Kelly Clarkson. 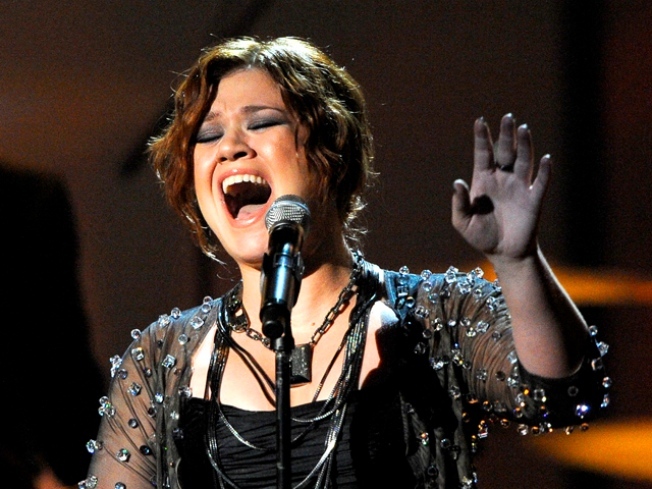 The former 'American Idol' winner invites fans to buy tickets to her upcoming concert in Jakarta, the nation's capital. The logo of her sponsor is splashed in huge type above her head — the popular Indonesian cigarette brand L.A. Lights. Similar ads also run on TV. Such in-your-face tobacco advertising has been banned for years in the U.S. and many other countries. But in Indonesia, the world's fourth most populous nation, tobacco companies have virtual free rein to peddle their products, from movies to sports sponsorships and television shows. The country remains one of thelast holdouts that has not signed the World Health Organization's tobacco treaty. As smoking has declined in many Western countries, it has risen in Indonesia — about 63 percent of all men light up and one-third of the overall population smokes, an increase of 26 percent since 1995. Smoking-related illnesses kill at least 200,000 annually in a nation of 235 million. "Indonesia is a big concern, a big epidemic, a big population, and very little control," said Dr. Prabhat Jha, a tobacco control expert at the University of Toronto's Center for Global Health Research. "They have a chaotic taxation and regulatory structure. They have made the mistake of letting the Marlboro Man into the country." In recent months, anti-tobacco forces have rallied. A new health law has declared smoking addictive and urged the government to hammer out tobacco regulations. An anti-smoking coalition is pushing for tighter restrictions on smoking in public places, advertising bans and bigger health warnings on cigarette packages. Public debate also exploded last month after Indonesia's second-largest Islamic organization, Muhammadiyah, issued a fatwa banning smoking. Though not legally binding, the religious ruling does put pressure on smokers in the world's most populous Muslim nation. Anti-smoking advocates now hope Clarkson will drop the sponsorship of Indonesia's third-largest tobacco company, Djarum. A growing number of voices have started pleading with the Grammy-winning pop star on her Facebook page. Two years ago, a tobacco affiliate of U.S.-based Philip Morris International, which dominates Indonesia's tobacco market, removed its logo from ads promoting an Alicia Keys concert in Jakarta after the singer publicly denounced the sponsorship and apologized to her fans. "If Kelly Clarkson goes ahead with the concert, she is by choice being a spokesman for the tobacco industry and helping them to market to children," said Matt Myers, president of the U.S.-based Campaign for Tobacco-Free Kids, which has urged Clarkson to drop the sponsorship. "She has the power now to turn this situation around and to send a clear message to Indonesian young people and, frankly, to the young people of the world." The Associated Press left messages and e-mailed representatives at Clarkson's management company, Starstruck Entertainment in Nashville, as well as representatives at her record label, RCA Records in New York. Neither responded to repeated requests for comment. About a quarter of Indonesian boys aged 13 to 15 are already hooked on cigarettes that sell for about $1 a pack or as little as a few cents apiece, according to WHO. A video on YouTube last month prompted outrage when a 4-year-old Indonesian boy was shown blowing smoke rings and flicking a cigarette. His parents say he's been smoking up to a pack a day since he was 2. L.A. Lights company Djarum declined to comment on its sponsorship of the April 29 Clarkson concert, or on accusations that it markets cigarettes to young people. But the company's international brand manager, Roland Halim, said it abides by government restrictions on tobacco advertising. Philip Morris affiliate HM Sampoerna said in a statement it has urged the government to adopt tougher regulations on cigarette sales and ads, including age limits on buying tobacco, billboard restrictions and the phasing out of television commercials. "We recognize that our products, like all tobacco products, cause disease and are addictive," it said. "Our advertising is intended solely for adult smokers. We sponsor events in compliance with Indonesian law. We do not advertise to minors." Smoking is embedded in Indonesia's culture. Wafts of a pungent mixture of tobacco and cloves, called kreteks, can be smelled in houses rich and poor across the vast archipelago. According to a 2008 study on tobacco revenue in Indonesia, smokers spend more than 10 percent of their household income on cigarettes; that's three times more than they spend on education-related expenses such as school fees and books. Indonesia remains one of the last places in the world where cigarette TV commercials still run, featuring rugged men and beautiful women smoking. Billboards plastered above four-lane highways encourage motorists stuck in Jakarta's notorious traffic jams to "Go Ahead" or "Become a Man" or let Marlboro Lights "Style Your Party." Leggy women in short skirts and strappy heels promote cigarettes at events, sometimes even giving out discounted or free samples to "taste." Indonesia's tobacco industry employs millions in the world's fifth-largest cigarette-producing market. About 6 percent of the government's revenue comes from cigarette taxes, and a powerful tobacco lobby has blocked past regulation attempts, including a move to ban TV ads. Indonesian cigarettes are cheap by regional standards, with taxes less than 40 percent. Tobacco farmers have held massive street protests to denounce any push for higher taxes or tighter restrictions. "Kretek cigarettes are Indonesia's heritage just like cigars in Cuba," '' said Nurtantio Wisnu Brata, chair of the Central Java chapter of the Indonesian Tobacco Farmers Association. Any move to limit tobacco promotion and use in the country will require strong political will. But critics point out that even Indonesia's smoke-happy neighbors China and Vietnam have signed the WHO's tobacco treaty and imposed stronger controls. "The level of advertising in Indonesia is unmatched anywhere else in Asia," said Mary Assunta, senior policy adviser for the Southeast Asia Tobacco Control Alliance. "The Marlboro Man has ridden into the sunset in many countries, but not in Indonesia."